For beekeepers, summertime is a very important season – it is time to extract honey from the beehive! 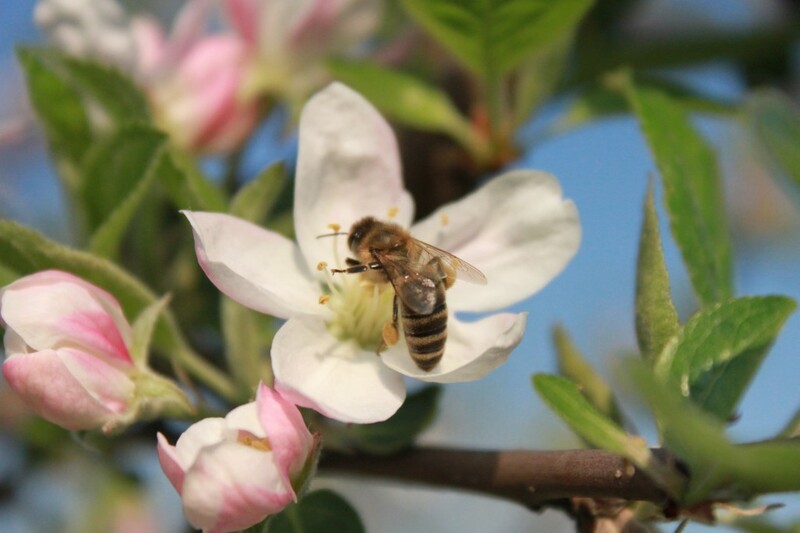 Throughout the spring and early summer, honey bees work hard gathering nectar from flowers. They store the nectar in a very special sac called a honey sac. The bee flies back to the hive and gives it to another work bee. The bees pass the nectar from bee to bee, adding special enzymes to it. Finally, the bees put the nectar in their honey comb. Nectar is like very sweet water, but honey is very thick and sticky. To change the consistency of the nectar, the bees fan their wings and blow air over it to pull some of the water out. When it has the right amount of water, the bees cover it with beeswax to seal and protect the honey. A full frame of honey! Now it is the beekeeper’s turn to work. Beekeepers go out to their beehives and carefully remove all of the frames with honey on them. They brush the bees back into the hive and take the frames home. When they arrive, they use a very hot knife to cut the beeswax seal off and expose the honey. 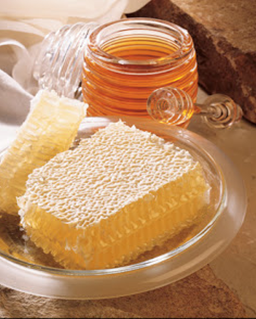 It is exciting to see the fresh honey glistening on the honey comb! The beekeeper then puts the frames in a large machine called an extractor. The extractor spins around very quickly; in fact, it spins so quickly the honey flings out of the cells of honey comb and drips down the sides of the extractor to the bottom. At the bottom of the extractor is a spigot. When the beekeeper opens the spigot, golden honey comes streaming out! It is so much fun to see (and taste!) the reward of the bees and beekeeper’s work. The beekeeper can then strain and bottle their honey – it is ready to eat! Bees make honey by themselves; beekeepers just extract the honey. A beekeeper does not have to add anything to the honey. The bees make it perfectly on their own. Honey is very valuable – in her whole lifetime, a worker bee will produce only 1/12 tsp. of honey. That is about one drop! Honey is a very important and delicious food. So next time you enjoy a spoonful of honey, think about all of the work that went into producing it and thank the bees and beekeepers!